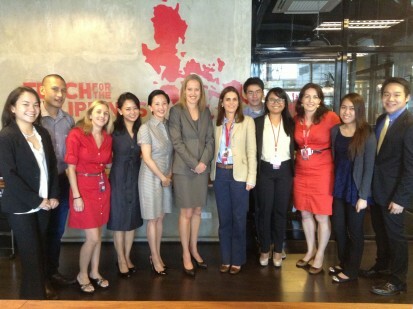 Bunny Luz (fourth from right) along with Wendy Kopp and the Teach for the Philippines team at HQ. In 2007, right after I graduated from university, I went to teach for two years in Ozamiz City, Misamis Occidental, Mindanao. I wasn’t trained to teach, I only knew I wanted to do it. Thanks to a support system provided by the faculty and staff, the friends and colleagues I made during those two years and the students who suffered me gladly, I was transformed by that experience. I would not be who I am today otherwise. I didn’t know about the model of Teach for America back then but in retrospect the experience was not that different. I was—and still am—propelled by my own ideal and ambition but during that time, I also learned patience, kindness, perseverance and compassion. Because of the needs of my students, I was pushed to the limits of my creativity and learned to balance, to compromise, to push and pull those kids. But I taught junior and senior high school, so if the measure of success was to get them into university, then I knew by those standards I had succeeded. After two years I left to experience working in other sectors that lay in the paradigm of my interests and to travel and work in different cultures and learn to interact with people. When I lived in India between 2010 and 2012, I learned about a program called Teach for India and it was a program that both excited and intrigued me– a national corps of self-propelled leaders who would reach out to children as teachers. I felt in my gut this was a model that could work in the context of the Philippines because I knew for a fact that there were many young people who felt teaching was their calling. I saw it first hand in the young faculty during my teaching days. When I heard that the program was being launched here, right around the time I had decided to move back, it felt like fate. 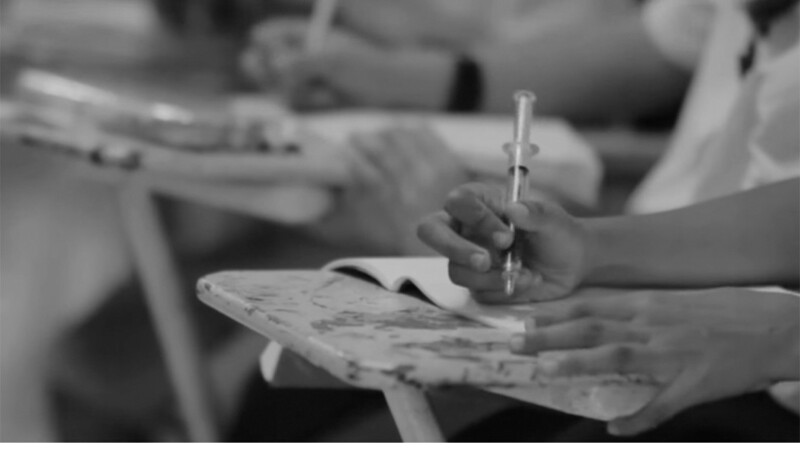 I had originally been courting the idea of returning to the classroom but it had been a long time and the passion to teach was not as strong as it was before. Now my passion lies in getting to the root causes of what makes education in our country tick. I am grateful that Teach for the Philippines recognized that in me and I am excited to roll up my sleeves and dig deep with the team every day. Meeting Wendy Kopp drove everything home for me because without her, none of what we as a team are trying to accomplish would be possible. But most of all, it takes a brave person to wake up one morning and decide to face a problem head-on on a scale as it stands today and to do it with tremendous focus and positivity. That she took the opportunity to sit with us and speak with us, to share her thoughts and congratulate us for even trying–if there was even a seed of doubt about myself and what I hoped to accomplish at Teach for the Philippines over the next few years, it’s dust now. Meeting Wendy reminded me of the vow I took when I decided to join the movement—not only to help change the face of Philippine education but to find talented driven people who want to teach; to elevate the profession of teaching into something we can be proud of and can see ourselves doing; to open paths for children to take that are not predetermined by their origins and to ensure that they have a fighting chance at an excellent, inclusive and well-rounded education. Bunny Luz, 27, is the interim Selection Manager for Teach for the Philippines. She is also a Liberal Artist and literary practitioner with a permanent travel bug. Follow her on Twitter @thebunnyluz.